If there's just two of you, or you live on your own, a small capacity washing machine makes a lot of sense. Small washing machines save money, energy and space. They use less water and less electricity - so they're better for the environment, too. We reviews the best portable washers between 3kg - 6kg so you can get the best deal. Choosing a new washing machine based on size and / or brand alone is not a good idea. After all, you're likely to be stuck with your new appliance for a number of years. So it makes sense to delve a little deeper and get the best model for your budget. To know your ideal size, you need to consider how much laundry you do and how often. A 3 KG model is perfect if you live on your own, but you might want something bigger if only do the laundry once-a-week. Similarly, a 5 KG is fine for a couple but if children come along, you might regret not having that extra few KG. When it comes to energy-rating, A+++ efficiency is the best. Small washers are usually not top rated as it takes proportionately more energy for a lower drum size. 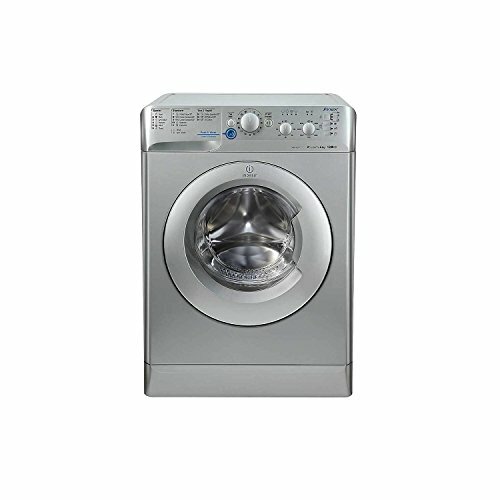 However, we do have some A+++ rated models on our list and on this page we profile 5 energy-efficient washers. The best washing machines have a wider-range of functions - but do you really need all of them? Some are nice to have, and these include quick washes, sports programs and anti-allergy programs (which was at a higher temperature). The latest ones also come with a lot of new Smart Tech, such as load balancing, special sprays and WiFi connectivity. Small washing machines don't have the super-fast spin speed of their larger brethren - which is a current maximum of 1600 rpm. But I'll let you into a little secret. They very rarely reach this speed and if they do (say during a cotton program) it's only for a few minutes. All things being equal, it is better to have a higher spin speed and not use it. There is another stat I like to look at to compare machines though and that is "Water left after wash". If you have a lower spin speed but it does a great job of removing water, then it will really save in your drying time. And slightly slower spin speeds are quieter and cost less, so it is really a trade-off here. Modern washers are much quieter than those from just 10 to 15 years ago. Still, you will hear a big difference between the current makes a models. It can be the difference between sounding like the sweet song of a bird (44db) or a small plane flying over (88db). ​Bear in mind that the dB scale – that which measures sound output – can be confusing; 80dB, for example, is actually twice as loud as 70dB. We have included a noise level at spin speeds in each review. A timer function makes things much more convenient. Practically all new washers have them, but quite a few are less than 24 hours. We feel the extra time helps setting the time easier and it's useful if you're going away for a weekend and want the laundry done for when you come back. ​These appliances last for a long time, but everybody enjoys extra piece of mind from a long warranty. There is a great deal of difference between brands. Some only offer the bare-minimum 1 year manufacturers warranty - while some offer 10! We'll always point this out in our reviews. Using the key features we outlined above as a guide, here are our reviews of the best small washing machines of 2019. ​Zanussi make excellent washers. This is ​probably the smallest model they have - but they've put a lot of work into it. ​At 3kg this will only suit somebody who is living on their own. However, it's small footprint - 51.5 cm x 49.5 cm x 67 cm make it ideal for compact spaces, under counters or in cupboards. The 1300 RPM spin-speed is pretty fast for this company, though it only achieves an "A" score in energy-efficiency. To put that into perspective, it uses 8,580 litres of water a year, and I've seen machines twice this size use the same. Still, the power usage isn't too bad at 125 kw/h a year, which works out at £19.30 (based on 15.4p kw.h average). Despite unimpressive energy-efficiency, it is reasonably quiet at 73db during high-spin. There are 15 standard programs, but disappointingly the "Quick Wash" is only 30-minutes. I would expect 15 here for the price and size. Zanussi offer a rather measly 1-year warranty for this one, too. 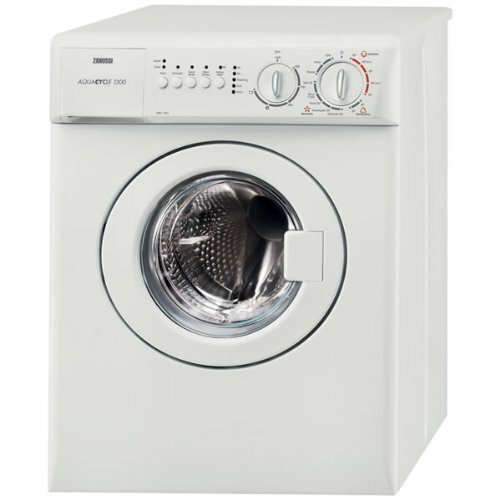 3kg washing machines are a rarity, and if you need something for a really-small space - this could do a great job. It's also worth checking the price over at Currys, too. ​The Spanish-made Beko brand is really starting to make a name for iteself on the UK appliance market. Their products are cheap yet well-made with outstanding customer reviews. And this one is no different! This has an "A+" energy-rating, using approximately 158kw/h and costing £24 per year. People believe this to be 10% more efficient than "A" rated models. Water usage is pretty good too at 7,260 litres, much less than the smaller Zanussi model we reviewed above. And at 75db during high spin, it's just 2db louder. Surprisingly (for the low price) this one does well on the features front, too. There is a super-fast 14 minute "Xpress Super Short" wash, a babies and toddlers program and even a sports program, too. It's 1200 rpm speed is not the fastest in the bracket, but still pretty decent for the capacity and price. Here is a short overview video from AO.com. The only drawbacks are a 1-year manufacturers warranty as standard and the delay-timer is just 9-hours. 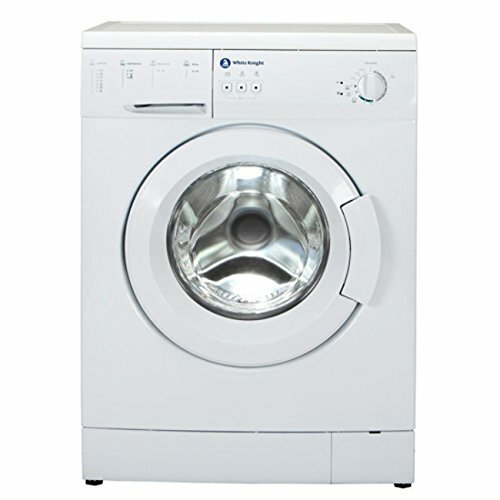 But for the low price, this is a great small washer if you're on a budget. If you want the reassurance of a known, quality brand, you can’t go wrong with Bosch. The "Serie 2" is 6kg so it's one of the largest on our list. This size will suit a couple or a small-family very well indeed. As you might expect from German Engineering, this scores A+++ in energy-efficiency. It uses just 153 kw/h of electricity a year, which is less than the smaller Beko model we reviewed above. Water consumption is fairly average at 10,560 Litres per year. However, it leaves 62% of water behind after spinning. This is pretty high as the best washers tend to be in the 50 - 55% range. More water means more drying time and energy usage. On the quietness front, during regular spin it puts out just 57db, but this does go up to 78db during the 1200rpm high spin - louder than the others on our list. It does have a number of premium features to go with the premium price tag. There's "3D Aqua Spa" which uses a spray system to fight stains and protect clothing, "ActiveWater" which weighs the load and adds only the water you actually need and "Speed Perfect" which launders a reduced load in just 15-minutes. Bosch also provide a 2-year warranty as standard, which isn't the longest but better than the 1-year minimum. If you're looking for an energy-efficient, small washing machine with a 6kg capacity, the Bosch Serie 2 is definitely worth a closer look. 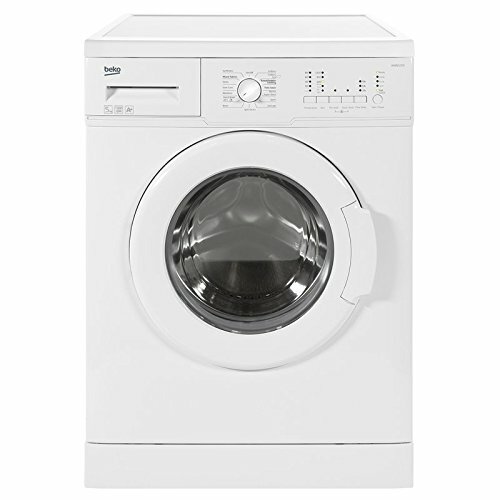 ​If you ask a plumber which brand of washing machine is the best "Indesit" is often the answer. ​​​This model has a 6KG capacity, so it's perfect for a couple or a small family. It's A++ rated and uses 172 kw/h per year which works out at ​£26.48 (using 15.4p per hour). Water consumption is excellent, using just 8,400 litres a year. That makes it one of the best on our list for water conservation. ​The "My Time" is very user-friendly with an easy to use dial and button control system. It has full child locks for added security and the build quality is typical of the brand. Indeed, the Push and Wash feature – you simply push the button and it begins a standard 50-minute wash cycle makes things nice and easy. You also get a 30 different wash programmes, more than any other on our list. There's a 20-minute quick wash, a sports program and even a duvet-cycle designed to save water. The only drawbacks are the short manufacturer's warranty - just 1 year - and the noise level. It puts out 80db during high-spin which makes it the loudest on our list. But quite frankly I'm amazed at how cheap this is available for. That makes paying extra for an extended-warranty a bit more palatable. ​You also get a 30 different wash programmes, more than any other on our list. There's a 20-minute quick wash, a sports program and even a duvet-cycle designed to save water. ​The only drawbacks with this model is the short manufacturer's warranty - 1 year and the noise level. 80db during the high-spin makes this the loudest on our list. But quite frankly I'm amazed at the low price this one is available for. This makes paying for an extended-warranty a bit more palatable. White Knight is a budget brand that is based in the UK. They specialise in small capacity washers, and cconsumers love their mix of great performance with an even better price. This is a 5KG model, so it would suit somebody on their own or a couple. It's energy-rated at "A+", which makes it one of the lowest on our list. Energy consumption is estimated at 167 kw/h per year, which will cost you around £25 a year. That's about the same as the 1KG bigger Indesit model we reviewed above. It is slightly quieter than the Indesit at 77db, but this is probably due to the lower 1000 rpm speed. 1000 rpm is the lowest spin-speed on our list. This means relatively more water will be left after spinning which gives you a longer drying time. Another drawback with this particular model is not having a 15-minute quick wash. There are a standard 12 programs, but the quickest cycle takes 30 - minutes. In summary, is a budget, "No Frills" washing machine, and it comes with a 12-month manufacturers warranty. It just makes it onto our list - but probably not in the top 3. 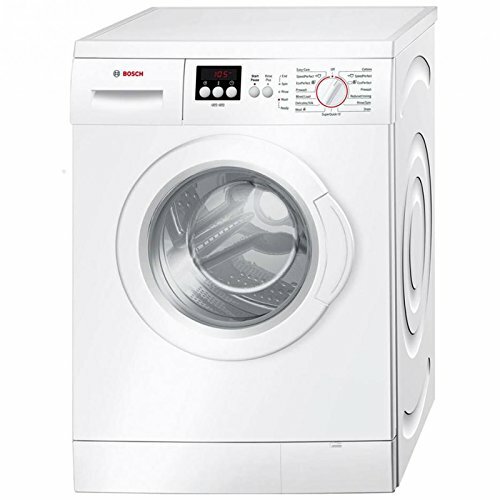 .After weighing up all the features and prices, we'd have to go with the Beko WM5122W as our pick for the Best Small Capacity Washer of 2019. It has a wide range of programs, great energy-efficiency stats and is available at a budget price. We like!